What are the Most Common Types and Causes of Car Crashes in CA? Car accidents can result from many different causes, including auto and road defects, as well as driver error, negligence and/or recklessness. However, what occurs before, during and after an accident often becomes nothing more than a blur to the people involved. The traumatic experience of a wreck can make it difficult to recall the specifics. An experienced car accident attorney can investigate any type of car crash, determine the cause and assist you in filing a claim for the compensation you deserve. San Diego auto accident lawyer Frederick M. Dudek has years of experience litigating cases in California and many other states. He has handled many high-profile cases involving all types of car accident and injuries. After years of experience in personal injury law, he still believes in the value of maintaining individualized relationships with his clients. Thus, he dedicates himself to making sure you understand your case at every step in a clear, concise way. Rear impact collisions. This type of car crash occurs when you are rear ended or you rear end another vehicle. Side impact collisions. These happen when one vehicle is struck on the side by another, often occurring at intersections. Side impact collisions are also known as a T-bone accidents. Head on collisions. These car accidents, where two cars collide facing opposite ways, are common when one driver drifts or swerves into oncoming traffic. Rollover accidents. These accidents often result from another type of collision, though they can occur independently as well. In many cases, auto defects, especially in SUVs and vans, may cause or contribute to a rollover. Driver error. According to the National Safety Council (NSC) driver error plays a major part in approximately 90 percent of accidents. Distracted driving or driver inattention. Today, texting and driving is one of the most common forms of distraction. Motorists who text while driving are even more likely to cause accidents than drunk drivers, according to the National Highway Traffic Safety Administration (NHTSA). Speeding. This is by far the most common form of driver negligence, and can severely limit a driver’s ability to stop in time to avoid a car crash in an emergency situation. Driving under the influence of alcohol, narcotics or other medications (DUI). Driver impairment of any kind puts all other motorists at risk. A drunk driver may ignore traffic lights and laws as well as display other negligent, reckless and dangerous behaviors. Driving while fatigued. A drowsy driver has slower reaction times and may doze off behind the wheel, potentially causing a serious car crash. Auto defects. Manufacturing and/or design defects in a vehicle or any of its components can cause or contribute to car accidents. Road defects. Hazards in the roadway itself may also cause crashes. In these cases, the agency in charge of maintaining the road is often liable. 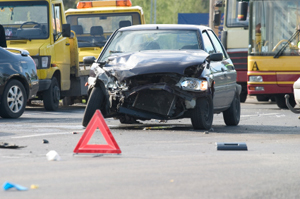 In many cases, a variety of factors may contribute to a single car accident. For example, a drunk driver may be speeding and cause a car crash with a vehicle containing defective airbags. In this case, the victim may be able to collect compensation from the driver and airbag manufacturer, as well as make an insurance claim. Can I File a Wrongful Death Claim If I Lost a Loved One in a Fatal Car Crash? Any car crash may result in serious injuries or the wrongful death of a driver, passenger or passerby. After a fatal accident, family members of the deceased face a series of difficult choices. It may be tough to think about financial problems and fault while you are still grieving, but it is important to do so right away by retaining an attorney who can do so on your behalf. It may help to ask a trusted relative or friend to contact a car accident lawyer immediately. Our attorney, Frederick M. Dudek, knows the system, and he can help you figure out your best options as well as take care of the legal aspects of the case on behalf of you and your family. 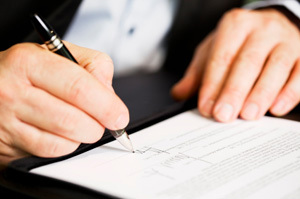 By handling each claim personally, he will make sure your story gets the care and respect it deserves. If you or someone you love has been hurt in any type of auto accident, attorney Frederick M. Dudek is here to help you seek justice. Our law firm will complete the necessary insurance paperwork, find the right medical treatment and, if necessary, take your case to court to defend your rights. Whatever you need, our firm is here for you. Fred limits the number of cases he accepts, so each client receives personalized attention. Dudek Law Firm APC will conduct a thorough investigation of your accident, do everything they can to determine exactly what happened, and then help you decide on the best course of action for your specific case. If you suffered a car accident injury, contact our San Diego car accident lawyer for a free consultation.